Well, that was another fairly busy one! I hope you all had a good week? The beginning of the week saw me going back to work after 8 weeks off and my goodness it was a shock to the system I can tell you. Heading off to work in the cold and dark is not my idea of fun, I just wanted my cosy bed. I'm not a morning person, oh no, Mr C will confirm that fact, and I've really loved getting up at whatever time I wanted and just putting my face on and getting dressed when the mood took me, you know being generally lazy. Anyway, it's back to the reality of work but I'm very lucky in that I only work two days, the rest of the time is all mine for bloggy stuff! Now this 'ere 'My week in photos' I'm going to do my best to get one up every week for you, but I can't promise I'll get into the 50 numbers because that depends if I have anything interesting to show you, but I'll do my very best. 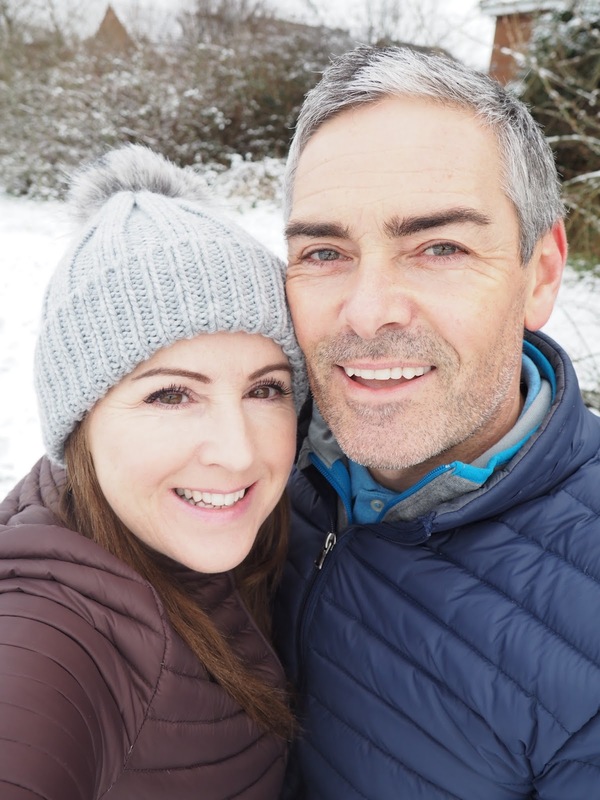 Thursday night I headed off to a VIP launch of The Cookie at The Kitchen which is a music and comedy venue in our main town and it was a great opportunity to catch up with fellow bloggers with some fizz thrown in for good measure. I'll tell you a bit more very soon in another post. On Saturday Emily and I were fortunate enough to be invited our to Hoar Cross Hall in Staffordshire as they were trialling some new exercise classes in their gym and wanted some guinea pigs! 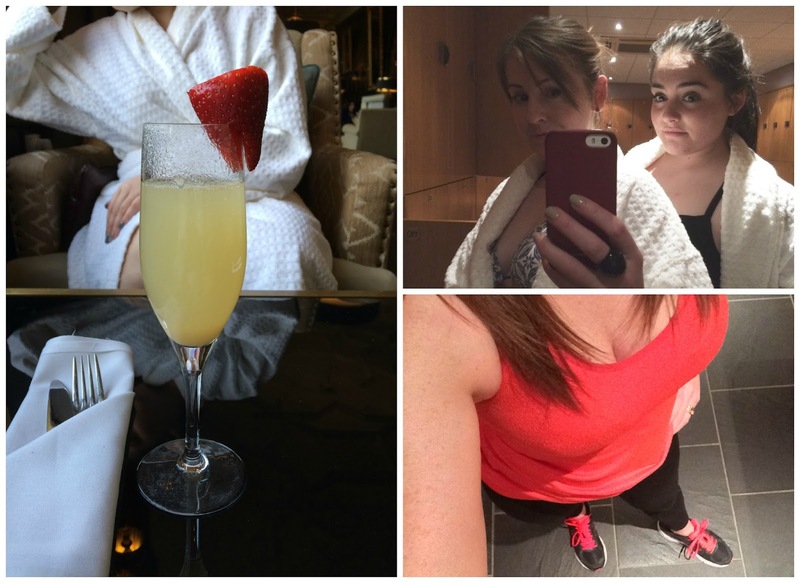 With the offer of a spa day thrown in who were we to refuse. It was so fun spending time with Emily again, just the two us. Hoar Cross Hall is quite a spectacular place and I'll definitely be doing a separate post about our day there. Mr C was even our chauffeur for the day, bless him, and picked us up at 8pm so it was a real long day. We got home feeling relaxed but all tired out at the same time, I just flopped on the sofa and Mr C shoved a glass of my favourite, you guessed it, prosecco, in my hand. That kept me awake for half an hour but by that time I was totally pooped and my bed was calling. I was hoping all the saunas and steam rooms would help with this blasted cold I'm struggling to shift but if anything it's somehow made it worse, if that's possible. 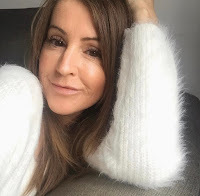 I'm a bit fed up of feeling rough all the time now, what with surgery & feeling crap, this cold & feeling crap, not to mention that I look bloody drained and tired all the time, not good for any type of blog photo, I'd just like to feel normal please!!! Whatever that is. We got home from the spa Saturday night just as it started to snow, lucky or what? The weatherman had said it was on the way so we were expecting it. Mr C is like a kid when snow is forecast, constantly looking out the window, to see how deep it's getting, even in the middle of the night, he gets up and down like a bloomin yo-yo. I do like it when I'm snug inside and don't have to drive anywhere, I DO NOT like driving in the snow. It's funny isn't though when it's snowing how calm, quiet and peaceful everywhere is, I love that bit about it, especially at night time, it's like a magic carpet descends over the land and brings tranquility with it. Until the daytime that is when every man and his dog are out throwing snowballs and rolling up every last bit of snow for their snowman! 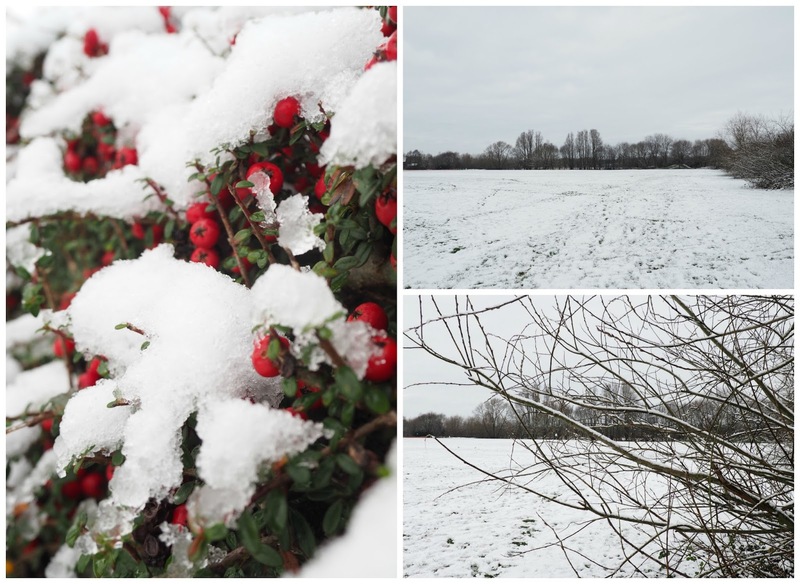 I don't like being cold, EVER but love to go out for a walk in the newly fallen snow before it goes all slushy and then disappears. So, today was no exception. I squished my cosy toes into my new Hunter wellies (that I had from Santa) and off we went to the park just down the road. It was only a quick walk as Mr C was heading out for some training. I'm so proud to tell you that he became part of the Leicestershire search and rescue team this week. It's something he's been talking about for a while so now he's gone and done it! I picked up this jacket form TK Maxx a couple of weeks back and I adore it. It's one of those filled with down and is as snug as a bug. Mr C has one and was always going on about how warm he was in his and insisted I needed to get one. I'm always cold and I get miserable if I'm cold when out walking so when I spotted this, in a gorgeous colour and a perfect fit I couldn't not get it. It wasn't in the sale sadly but at £60 I didn't think it was too bad. 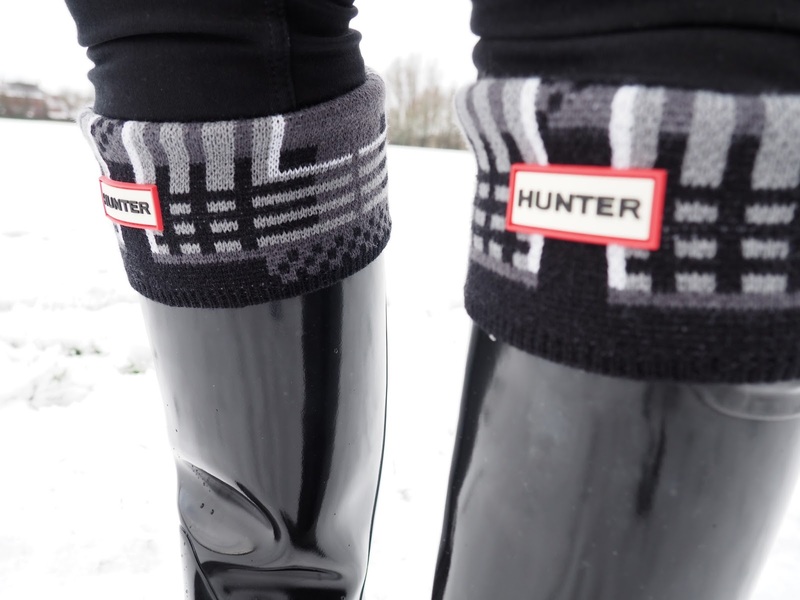 Mr C bought me the Hunter wellies for Christmas and surprised me with some hunter socks too! My pom pom hat is from Topshop. I've got a thing about grey at the minute. It keeps my ears nice and warm as that's another thing, I'm susceptible to a bit of earache when I'm walking even if there's just the tiniest breeze. Bad whispy hat hair but I don't care! I love this pic of me and Mr C, shot with the flip down selfie screen on my Olympus pen. Shows up the crows feet but what can you do? #Life. 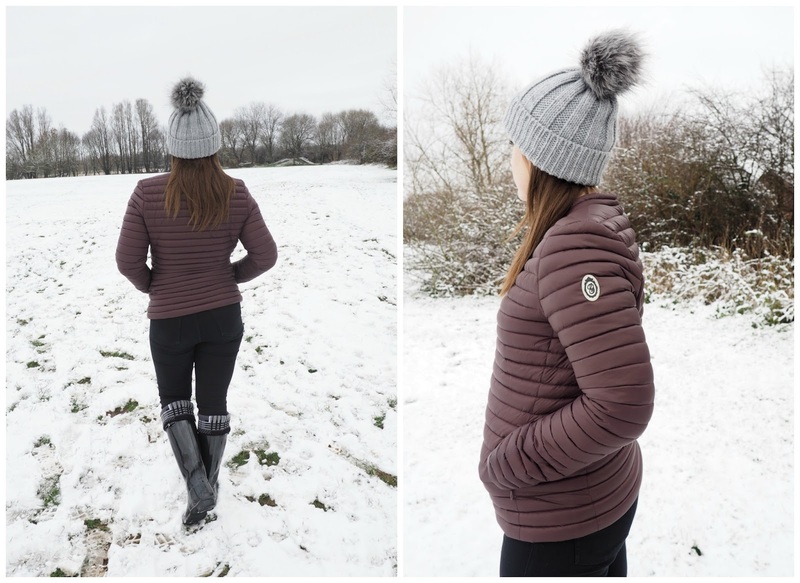 So this brings us to Sunday evening and I'm speedily finishing off this post after returning from another blogger event, this time with The Body Shop. 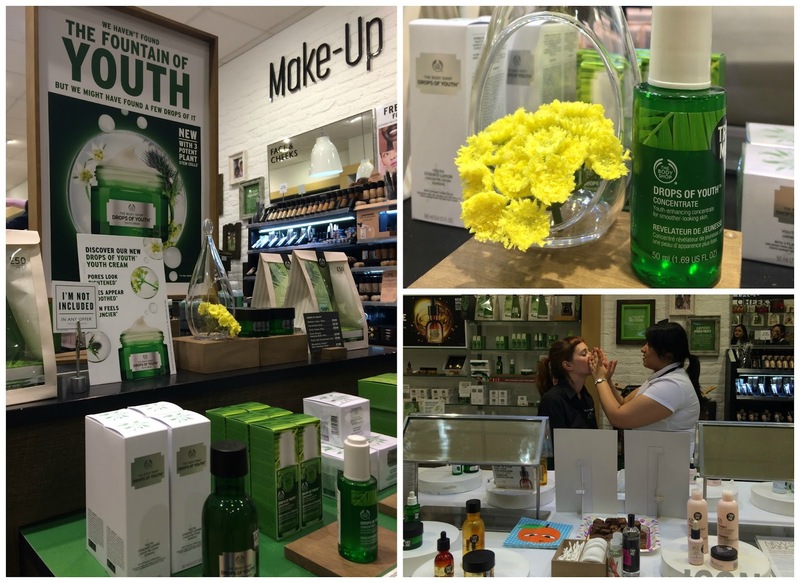 We were invited along to learn all about their Drops of Youth range and be pampered. Again, I'll cover this in a separate post as right now I'm exhausted and in a lot of joint pain from my busy (and active) week. I'm off to count some sheep so have a great week everyone and take care. Sounds like you had a fab week! And I had the pleasure of seeing you twice!! :) I adore your snow walk look - that jacket is a beauty!! Thats very sweet Hollie, it was lovely to see you again. Great post! Fab pictures! Absolutely loving your coat and hat! Hope you got some rest you busy bee! I'm really enjoying this new feature of yours Steph! 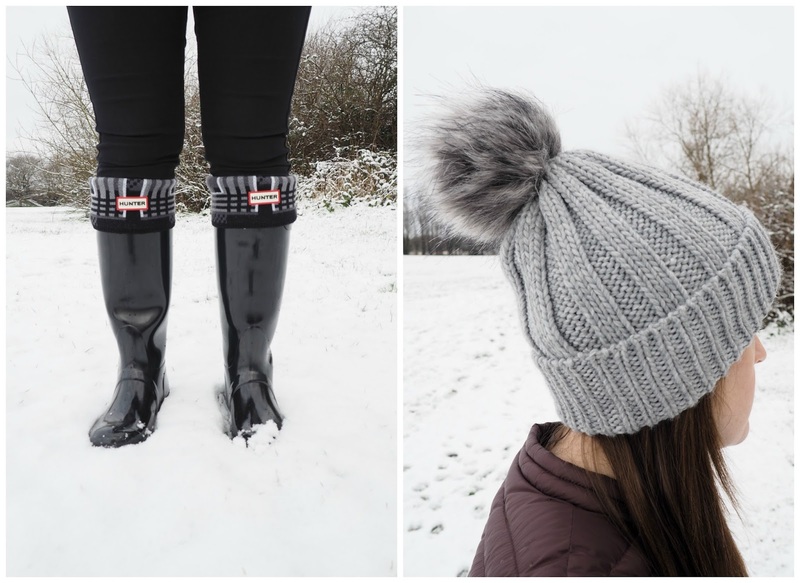 I love your snow day photos, the wellies are so cute with the socks! It was so lovely to see you twice last week too, what a treat!